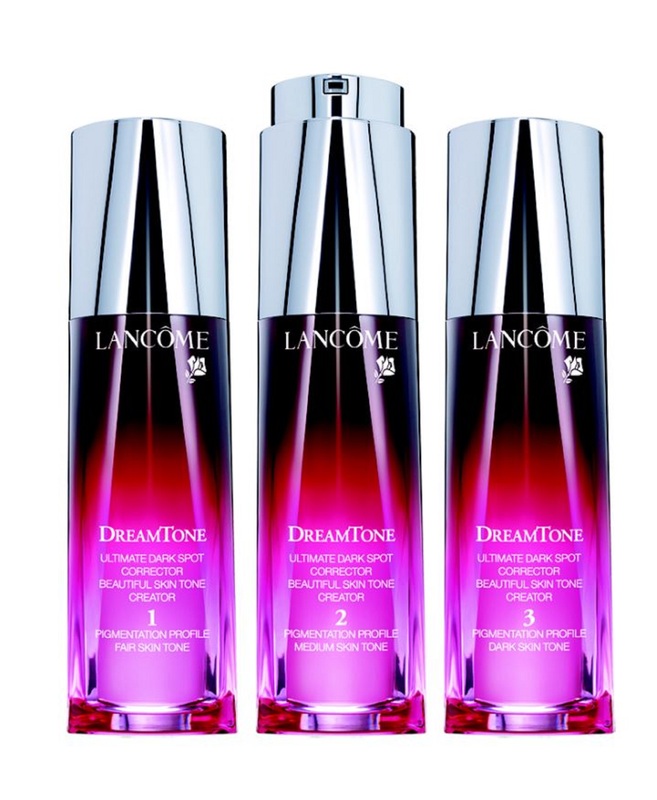 On Thursday DreamTone, the brand new product from Lancôme is launching in Brown Thomas Dublin, Cork, Limerick and Galway and will be available nationwide from September 1st. It is a brand new product that has been designed to target age spots and pigmentation, which studies show we are more concerned by than wrinkles! The science in the product is fascinating, were a new approach towards the causes and development of age spots. They discovered that excess melanin production and melanocytes (the cells responsible for its production) in the epidermis are not the only factors that play a part in the appearance of age spots and hyperpigmentation. The team responsible for DreamTone which was headed by Dr Francoise Bernerd, moved their focus to the dermis, the deeper layer of your skin. Amazingly they found that the activity of the cells in the dermis called fibroblasts had a impact in the process. The research that was carried was more extensive than any other that I have ever had the pleasure of reading. They have identifed 64 skin tones, before this study the normal was less than six skin tones. The study spanned 19 countries and had over 10.000 women involved. The results of this was a need for a product that was more specific to the skintones that they discovered. They are launching a bespoke made-to-skintone formula that comes in three formulas light, medium and dark. This means that you can target your pigmentation issues no matter what your ethnic background is. I have not tried the product yet, but I will be at the Lancôme counter in Brown Thomas on Thursday and in the 8 weeks that they say you will see a difference I will report back to you!